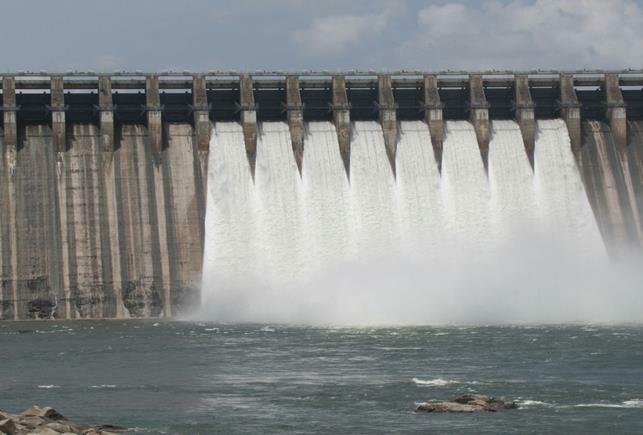 Nagarjuna Sagar Dam and near by tourist attractions including Nagarjunakonda island, Ethipothala Waterfalls etc are must visit tourist destinations near to Hyderabad, Telangana. Read this article for information about accommodation facilities and other tourist attractions here. It was around the second week of December, 2012, and our vacation was almost getting over. Till then we didn't have any plans for extensive holiday outing, but sitting at home was just getting too boring. So, in a split second decision, we looked for weekend destinations near to Hyderabad, and Nagarjuna Sagar Dam appeared to be the most appealing with all the permutation and combination of what we were looking for. This place is around 163 Kms from Hyderabad, but our relaxed driving took around 3 and a half hours to reach our destination with lots of snack breaks, though a normal drive would only take 2 hours 45 mins. But when you are out to spend time, and aren't going to attend any official meeting, such a slow drive is just a pleasure. This place can be also accessible by train to Macherla station and then take a public transport reaching the Dam. We made an online booking in Punnami Vihar which faces the Dam directly from the room balcony. The Dam is a spectacular sight with the vast expanse of water body, on the left you could see the massive dam gate, from where the water from Krishna River gets released. It adds to one of your best memorable experiences, to watch the water gushing out from the Dam. On the right side, there are many small islands visible in quite a distance from our place and the chirping of birds like seagulls and others would make you forget the din and bustle of city life within a moment. From Nagarjuna Sagar Dam, we started off for Ethipothala Falls which is a 70 feet high river cascade of the Chandravanka river, which is a tributary of the Krishna. This waterfall is a beautiful combination of three streams - Nakkala Vagu, Chandravanka Vagu, and Tummala Vagu. It is around 11 kilometres away from Nagarjuna Sagar Dam which will take you only 6 to 8 minutes through the hilly road. The water falls from a height of 21.3 m. There is also a centre of crocodile-breeding which is one of the prime attractions of the waterfall. Besides, there are Dattatreya and Ranganatha temples which are worth seeing. There you can get into the waterfall before the sunset. Accommodation is also available in the Haritha Resort if you plan to stay overnight. 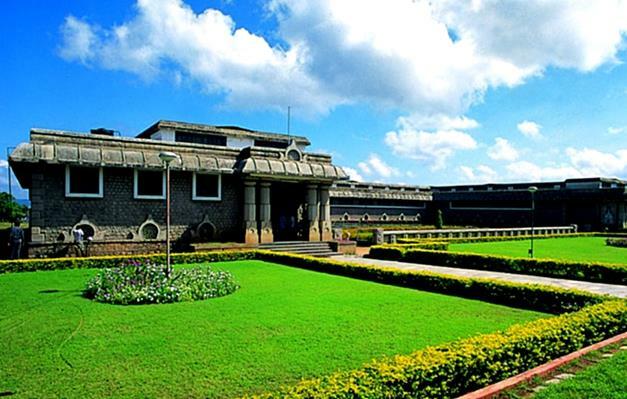 It is a wonderful museum located in an island near the Nagarjuna Sagar Dam. You need to take a booking for the motorboats that are running between Nagarjuna Sagar reservoir and the Nagarjunakonda island. To reach the island it would take around 45 minutes or maximum 1 hour (depending upon how fast it gets loaded) for one way journey and there you are free to spend as much time you want to explore the island lush with greenery. The Museum has a very good collection of wild life stuff and other memoirs, well maintained and enriching. It has showcased many of its monuments and other remnants which take you back through the pages of history. For refreshment, there is a nice restaurant with ample sit outs, though planning for a heavy snack may not work out well. So, it is better to have your food before setting out for the island. Located in Srisailam, Nagarjunasagar Wildlife Sanctuary is only 57 Kms from Nagarjuna-Sagar which is popularly known as Nagarjunasagar-Srisailam Sanctuary. It covers an area of 3568 sq. Kms with dense forest. It is a famous Tiger Reserve of India and you get to see a lot more once you make your way through its sneaks and paths. Samagamam Hotel (Nagarjunasagar Hill Colony), Haritha Vijay Vihar (Nagarjunasagar) and Punnami Vihar (mentioned above). All of them are quite affordable with good food, clean and hygienic atmosphere and room service. Memories of Nagarjuna Sagar are sweet and serene. It is an ideal place for a weekend visit preferably in autumn and winter and of course in spring. The temperature remains moderate with a slight humid touch, but you might feel the heat if you visit in summer. It is one of the attractive tourist locations blessed with scenic beauty in Telangana region. We would be thrilled to watch the sizzling waterfalls, lively landscapes and the enchanting beauty of the surroundings of this captivating city. Once it was a place where Buddhism flourished and the remains of the site, according to the archeologists, relate to the period way back 2nd century. The city was previously known as Vijayapuri, a city of Victory named after a Buddhist monk. Another tourist attraction nearby is Ethipothala Waterfall, a famous mountain stream as the author mentioned in this article and located at a distance of 15 K.M from the Dam site. It falls from a height of approximately 21.3 m into a lagoon with three streams, namely Nakka Vagu, Tummala Vagu and Chandravanka Vagu which combine together for transforming into this waterfall. A crocodile-breeding centre at this site makes the visitors more curious to know about it. People say that there are numerous caves which were used as route to the famous Srisailam temple at Srisailam, one of the 12 Jyotirlingas. 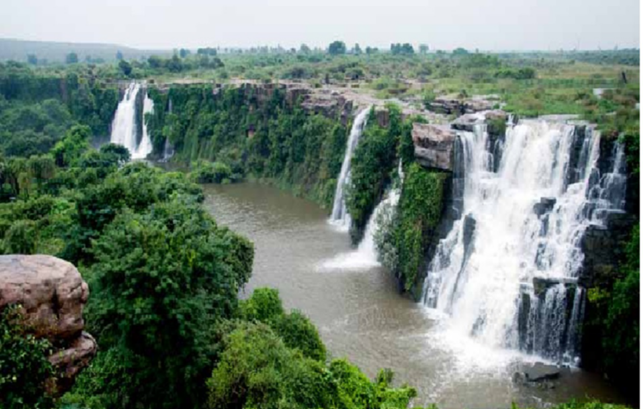 This waterfall joins the Krishna River after flowing for a distance of around 3 km at a place where two temples of Ranganatha and Dattatreya are located and worshipped by pilgrims. I appreciate the author for bringing our the travel experience with such a nice photographs.